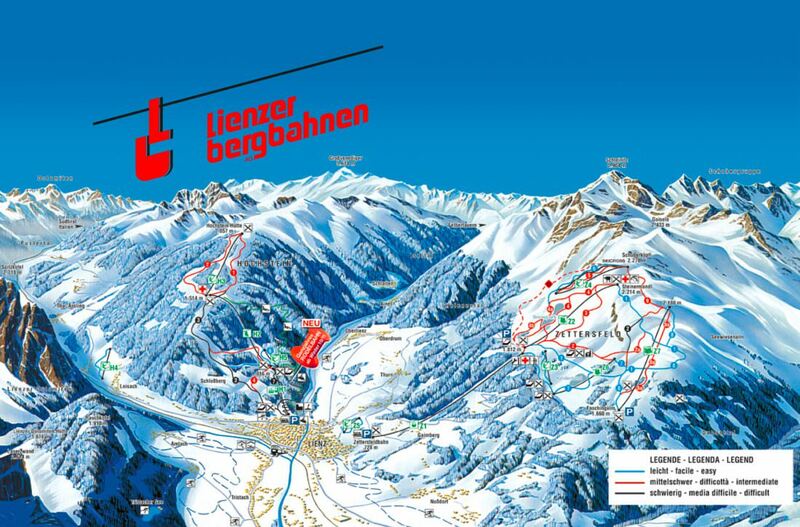 Hochstein has 4 lifts reaching from 668 m above sea level up to a snow-reliable altitude of 1.998 m.
Schlossbergbahn, a combination of 8-seater gondolas and a 6-seater chairlift replaces the former double chairlift Hochstein 1. Schlossbergbahn takes you up to Moosalm in 4.4 minutes. From there you take the double chairlift H2 up to Sternalm. A T-bar lift continues up to the summit of Hochstein. Children prefer the area around Moosalm with a T-bar lift and a child-friendly slope.